Enter the new Royale Spring Contest 2019, in it, you get the opportunity to Win a $5,000 spring gear pack and more. Contest is open to all legal residents of Canada who have reached the age of majority in their province or territory of residence. To enter you have to visit the official contest web page located at royale.ca/springcleaning and enter your email address, if you are not member of the Royale newsletter you will be prompted to do so by filling out the registration form with the required contact details and submit it. Contest closes on May 19, 2019 at 11:59 pm EDT. Winner will be selected by random draw from all eligible entries. 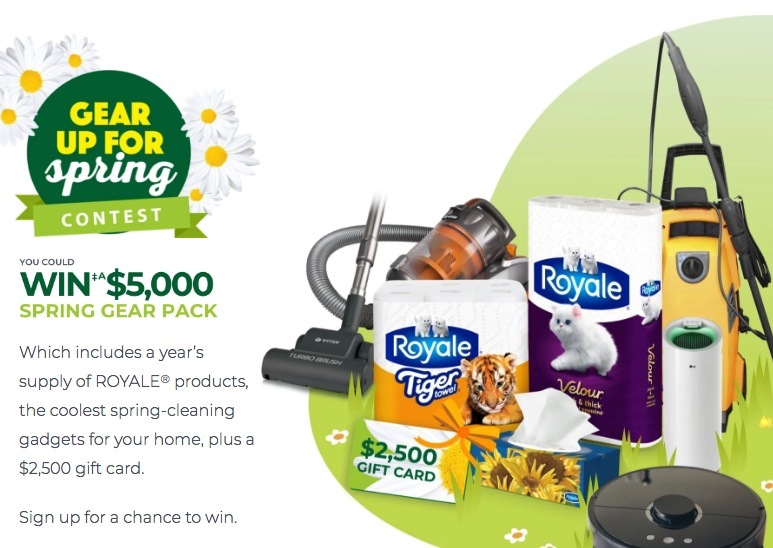 The Royale Spring Contest 2019 begins on April 9, 2019 and ends on May 19, 2019. The draw will take place on June 3, 2019. Winner will be notified by email.